Tracey Garvis Graves brings us back to the island where Anna and T.J. were stranded for three years. This time it is told in the perspective of Owen Sparks, a dotcommer, who gave up his life to live on an uninhabited island for fifteen months.Owen's story is very different from T.J.'s and Anna's as he chose to be there and wasn't stranded. He was able to bring supplies and it wasn't so much as a survival turned love story as it was more of a man trying to find his way back to his life. Owen was wracked with guilt over what happened after he left the island and has come to confess. 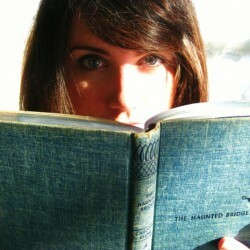 I couldn't put the book down and sped through it quite quickly. You just knew something bad was about to happen, and I needed to know what that was. I kept saying to myself only one more chapter then I go to bed. Next thing I knew I only had fifteen more pages before I finished the book.I did enjoy this book as you saw T.J. and Anna a few years from where On The Island left off. I had a clue what the bad thing that was going to happen (or at least the one bad thing) once one character was introduced. 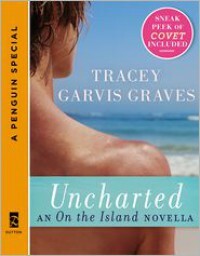 Uncharted will be a great novella for anyone who loved On The Island.